Servos from Blue-Bird are well known from the RC-trial scene for their excellent quality and long durability. The Blue Bird BMS 210DMH convinces with its powerful coreless motor with metal gear. The coreless motor is characterized by a very high torque with fast acceleration even at low speed. The torque is transmitted accurately and safely through the metal gear and double ball bearings. The aluminum heatsink protects motor and electronics from overheating. Last but not least is a digital controller in use. That means, precision during motion and full power until the position is reached. 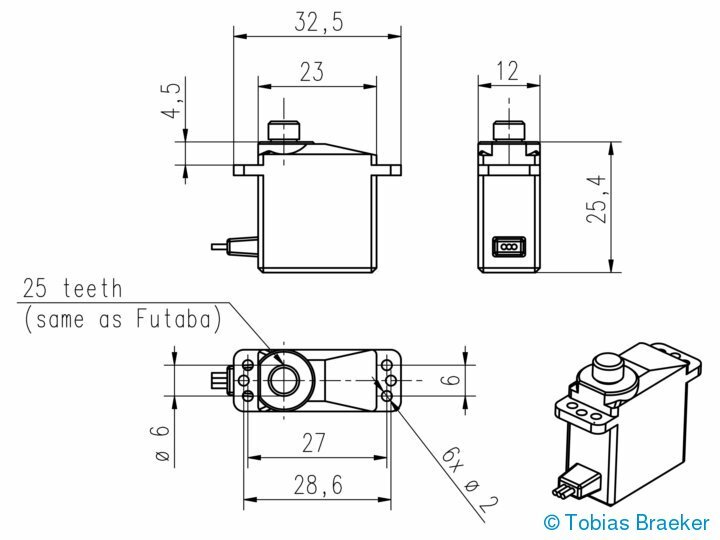 The metal contacts of the robbe-Futaba plugs are equipped with three spring contacts. This reduces the contact resistance and increases the insertion force. Tamiya connector with gold contacts. The connector costs 3.50€ incl. vat. plus shipment. Delivery Time 1-2 weeks.